Three of the members have died – two recently: Eleanor Gandy, 76, on Feb. 6 in Charlotte, North Carolina; and Rose Blakney-Love, 75, on Feb. 12 in Memphis. Sammie Burnett Johnson, 71, was the first to die in 2011. Five of the eight members remain: Luther McClellan, Marvis Kneeland Jones, Ralph Prater, John Simpson and Bertha Rogers Looney. 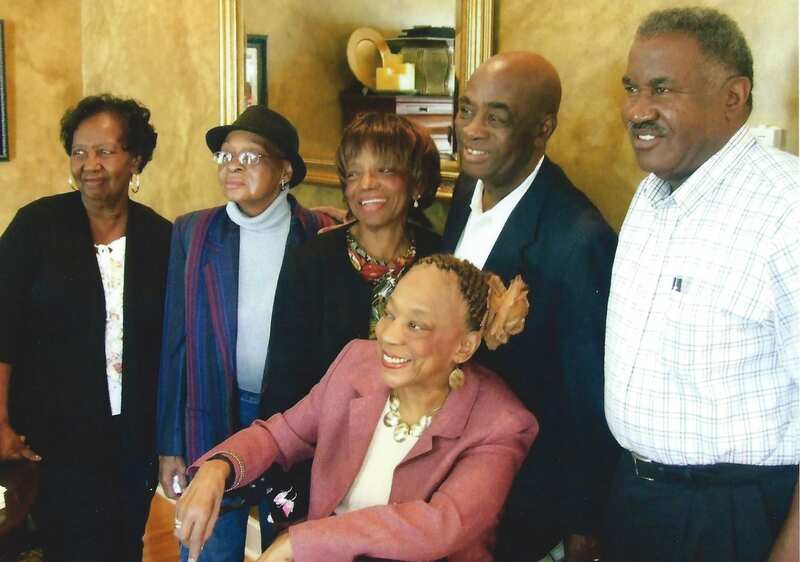 Their courage and determination to integrate the former Memphis State University during the burgeoning civil rights movement may have gone unnoticed if Markhum “Mark” L. Stansbury Sr. had not recognized their historical significance as trailblazers. “We need to recognize the Memphis State Eight,” Stansbury urged Dr. Shirley Raines when she served as president of the current University of Memphis where he worked as her special assistant. A photojournalist and trailblazer himself, Stansbury did not want the actions the group took in 1959 to become just a footnote in history or, worse, languish in obscurity. He knew their actions were just that important for posterity. Raines was convinced the eight trailblazers deserved the recognition and their rightful place in the annals of history. She welcomed them back on campus in 2006 to a rousing reception and ceremony in their honor. The group’s exploits would catch the attention of the media from time to time and eventually lead to the presentation of a historical marker in front of the Administration Building. Stansbury admires the eight trailblazers’ courage as well for defying the University’s racist admissions policy and their disdain for black students at that time. He once tried to enroll, but was denied. He would serve four different presidents nearly 20 years. Dr. Miriam DeCosta-Willis, who tried to enroll in the university’s graduate program two years before the group’s decision to challenge the all-white faculty and student body, was not accepted either. An activist, scholar, author and retired university professor, DeCosta-Willis said Gandy, Blakney-Love and Johnson are a passing generation of civil rights fighters. She was shaken by the recent deaths of Gandy and Blakney-Love. They were vilified, harassed and ostracized even after the U.S. Supreme Court ruled in 1954 that separate education was “inherently unequal.” Still, torment and loneliness would follow the eight students on campus each day they were subjected to the harsh reality of racism. In spite of all the hoopla surrounding their contentious enrollment, the eight students kept their eyes on the prize: a college degree – whether it was conferred by the university or obtained at other colleges where some of the members opted to attend. Equating the courage and moxie of the Memphis State 8 with Maxine Smith, Vasco Smith and Benjamin L. Hooks, DeCosta-Willis said Gandy, Blakney-Love and Johnson were treasures. Gandy would go on to graduate from the University in 1963. In 1996, she earned a master’s degree in education from Mississippi State University. After graduation, she taught French in Memphis City Schools for more than 20 years. Two years after integrating the University, Blakney-Love left to get married and went to work for the Tennessee Board of Parole.